For the last few months I have been trailing out a product (along with lots of other products I haven’t got round to posting about yet 🙈) from the lovely people at Beauty Essentials UK! The item in question is the Shadow Switch dry brush cleaner. This product is really unique and inventive and having never really tried anything quite like it before I was a little sceptical about how it would perform. I thought it may be a bit of a novelty item, but Iwas pleasantly surprised! 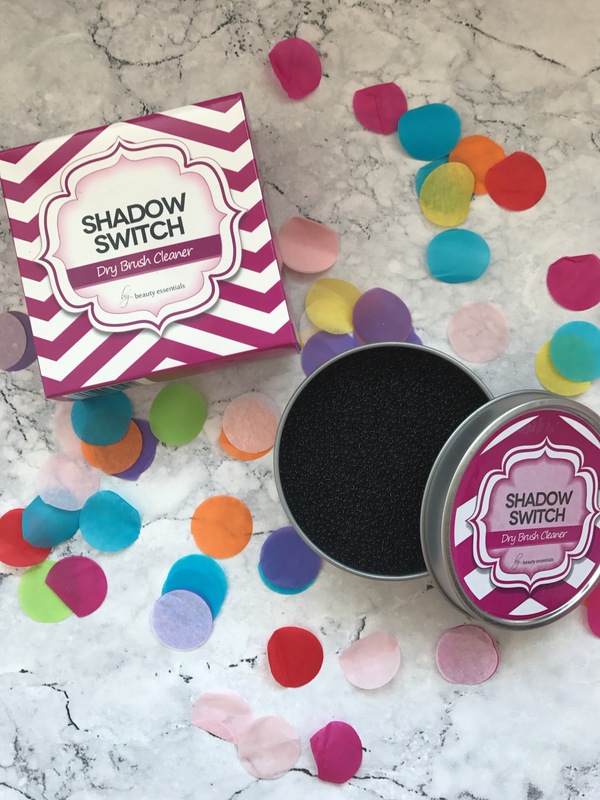 The premise behind the shadow Switch, if you haven’t already guessed, is that it provides you with a quick makeup brush spot cleaning method. 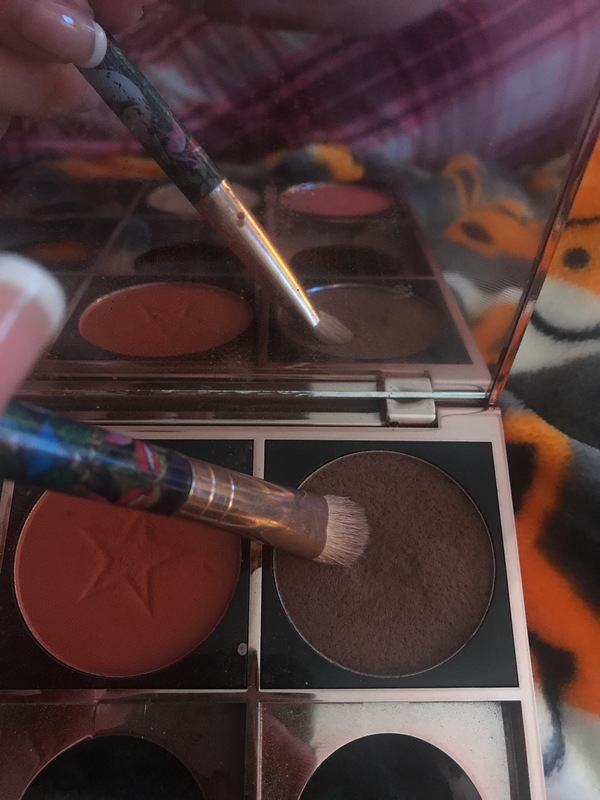 Specifically designed for eyeshow brushes I suppose, it allows you to use a single brush with multiple different eyeshadow colours for one makeup look. This means you can use the exact same shadow brush for your base colour as you can for your crease and transition colours with no colour transfer from one to another…amazing! The most beneficial use of the shadow Switch for me has to be for travel. Yes the shadow Switch isn’t tiny, I guess it’s about the circumference of a mug, roughly but it’s not huge either. It has a secure lid and due to being a dry product there is no liquid involved. But by bringing the shadow Switch with you, it minimises the number of brushes you need to carry. You can literally just bring one, for your eyeshadow anyway! This really is a smart product and honestly it really works! But how I hear you ask? Well inside the shadow Switch tin there is a sponge (sort of like one you would use in your kitchen!). Simply swirl your brush (don’t be rough or you might damage your tools) and you will see the colour disappear. 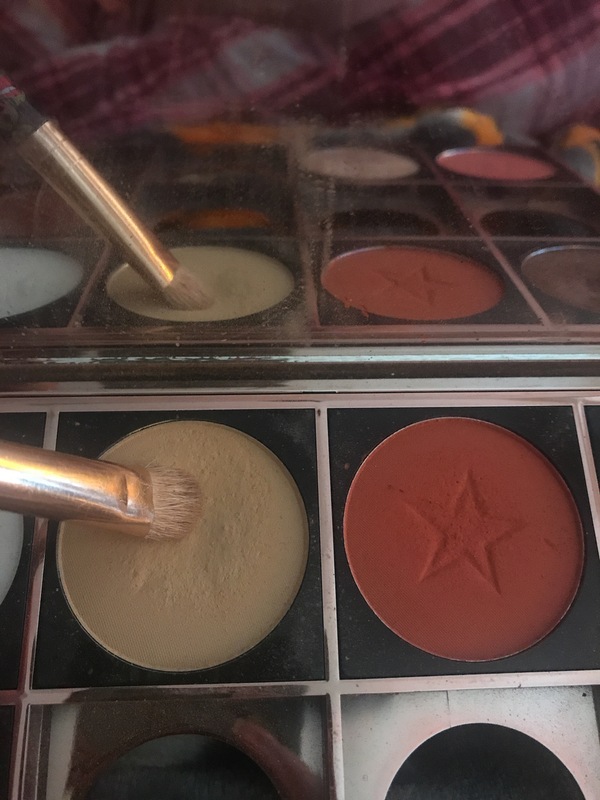 Now, you will still need to thoroughly clean your brushes for hygiene reasons, of course, using your normal cleaning method but in between shadows or for spot cleaning this is awesome! I tend to clean my brushes the traditional way about once a week (I honestly never forget, I swear! 🙄) but the shadow Switch does the work for me on a daily basis. They recommend you change your sponge every two months just FYI! P.s here is what the new packaging looks like for those of you trying to track it down. 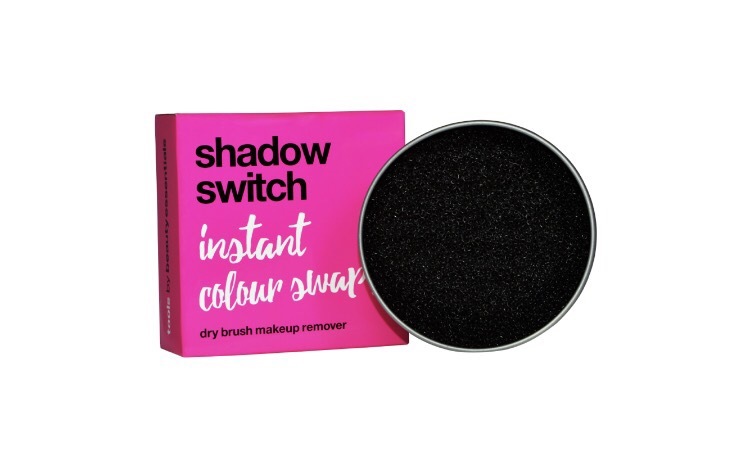 The Shadow Switch retails for £6 and is available on amazon and in Harvey Nichols. 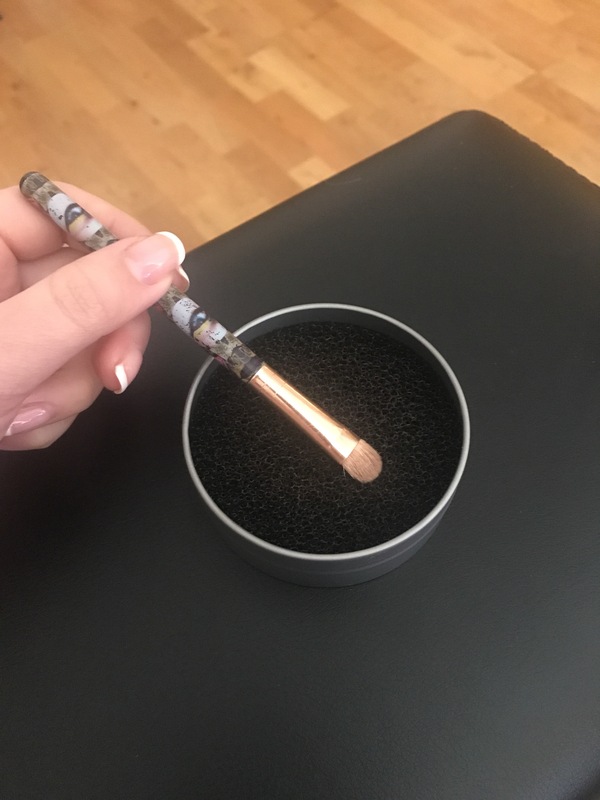 Thanks Beauty Essentials for the chance to test out this really innovative product, I can’t wait to see what’s next from you! Previous The Joan Collins compact duo. This party season’s clutch bag essential! Next Hello 2018….where have I been? !